Germany´s decision to quit electricity production from nuclear power plants by 2022 raises a number of challenging questions. How big is eventually the task to replace all existing nuclear capacities by renewables and/or conventional power plants? Which alternatives are available and what is their potential? What concequences might be expected by consumers? In 2009 Germany´s 17 nuclear plants had a total capacity of 20.5 GW, contributing some 26.1% to electricity generation. In that year the country produced in some 592.5 TWh (a significant drop when compared to the 637.2 TWh in 2008, data from Eurostat). From these 154.6 TWh were covered by Germany´s nuclear capacities. This is the order of magnitude which needs to be replaced by other sources and/or imports if Germany wants to keep its current level of economic performance. The are some potential substitutes for nuclear energy. First one could think of extending the coal-fired plant capacities. This, however, meets one serious obstacle, since Germany has committed itself to reducing CO2 emissions within the next decades. Thus comissioning new conventional plants based on hard coal or lignite could significantly jeopardize the ambitious goals set by the government. One might also think of additional capacities in terms of gas turbines. Gas is, on the one hand, a cleaner energy source than coal. On the other hand, Germany is already largely dependent on gas imports. And therefore it is questionable whether the phasing out of nuclear energy should be met with a stronger import dependency on gas. During the past two decades Germany has significantly enlarged its renewable energy capacities. 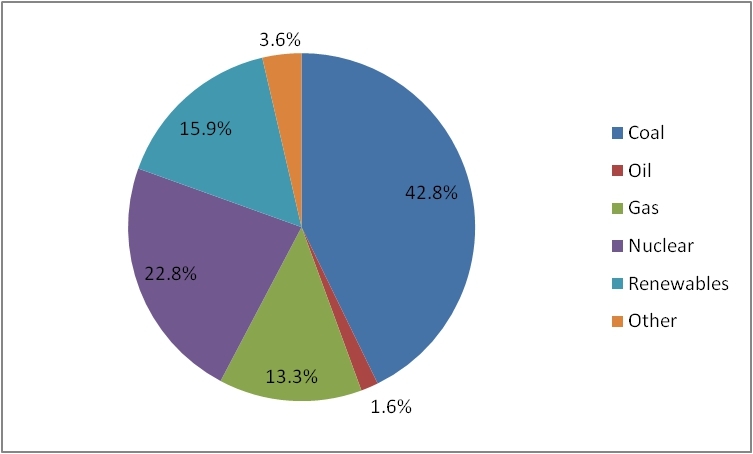 The most recent figures indicate that almost 16% or 94 TWh of the total electricity mix originate from renewable sources. Let us look at these sources in more detail and examine their future potential. One natural candidate for replacing nuclear facilities would be hydroelectricity. Indeed, some countries like Norway, Sweden and Austria cover a substantial part of their electricity from water-based power plants. 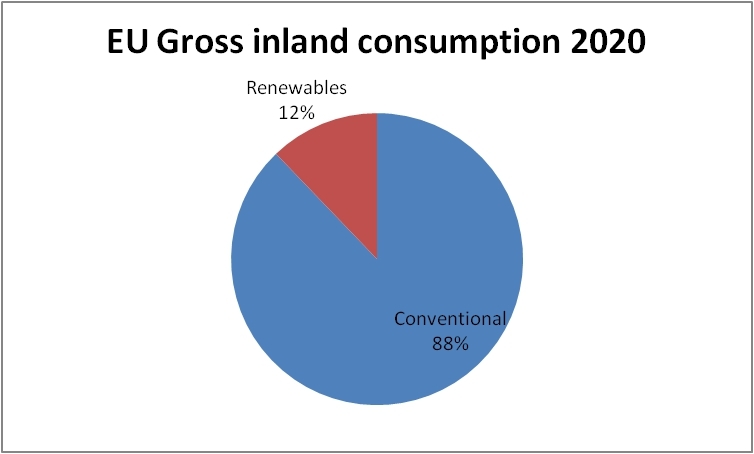 Germany has some capacity in that field, producing about 20 TWh annually which corresponds to a bit more than 3% of the total output. The potential for building new dams, however, appears quite limited given the geography of the country on the one hand and environmental concerns on the other. Thus hydroelectricity is not the first choice when it comes to searching for new production capactities. According to the Bundesverband Erneuerbare Energien (BEE), however, there seems to be some potential to extend the use of hydroelectricity. Their projections aim at a more than 50 % increase in hydroelectrical production by 2020 which then would amount to 32 TWh. Another largely neglected resource is the use of geothermal energy. So far there are very few installations of that kind in Germany contributing less than 1 TWh to the total electricity mix. Of course, it would be desirable to use more of that in the future. However, the usefulness of geothermal plants largely depends on the location. Thus, there appear to be limits to its growthe potential. Nevertheless, BEE estimates a total geothermal output of 4 TWh in 2020. This scenario is certainly more optimistic than the one we applied. 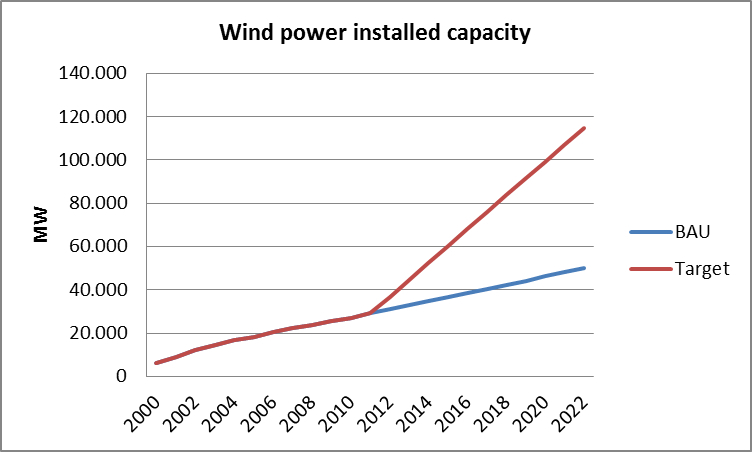 Wind and solar energy saw a tremendous increase in the past decade, and we will instantly analyse their potential as suitable substitutes for the existing nuclear plants. Although wind power output almost quadrupled since 2000, it came down by almost 5 % in 2009 due to unfavourable wind conditions. The total production in 2009 was 38.6 TWh. However, wind mill capactiy is expected to grow over the next years. We could therefore expect a further substantial increase in electricity stemming from wind mills. According to our model calculations we anticipate an output of some 113 TWh in 2022. Note that our estimate is considerably more conservative than the forecasts by the producers (Bundesverband Windenergie), according to which 149 TWh of wind energy could be reached already by 2020. Note furthermore that this projected output would roughly correspond to the electricity produced by nuclear facilities in 2009. 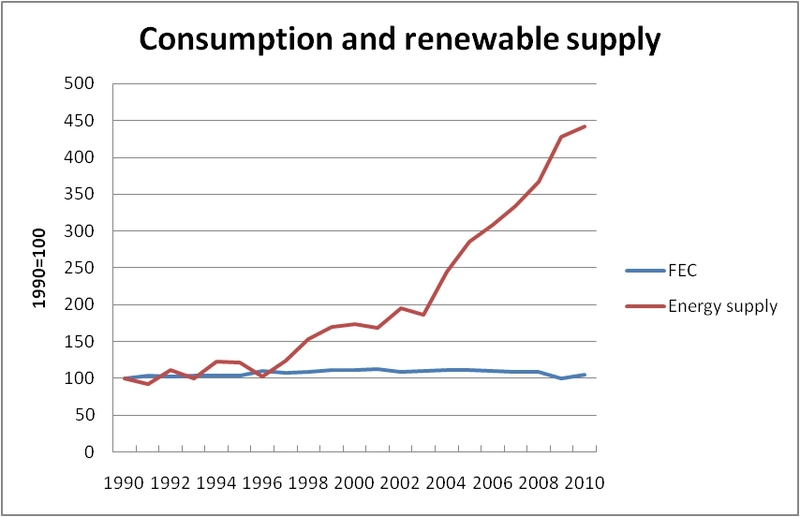 As regards solar energy, its contribution to the energy mix is less significant than the one from wind power. Nevertheless, in 2009 some 6.6 TWh could be fed into the grid. Using once again our model calculations, we expect some 37 TWh of solar electricity in 2022. This is roughly in line with the expectations of the Bundesverband Erneuerbare Energien (BEE) which forecasts a production level of 40 TWh in 2020. Thus both wind and solar energy producers together should be able to face the challenge of compensating the loss of nuclear energy at the time of phasing out nuclear installations in Germany. 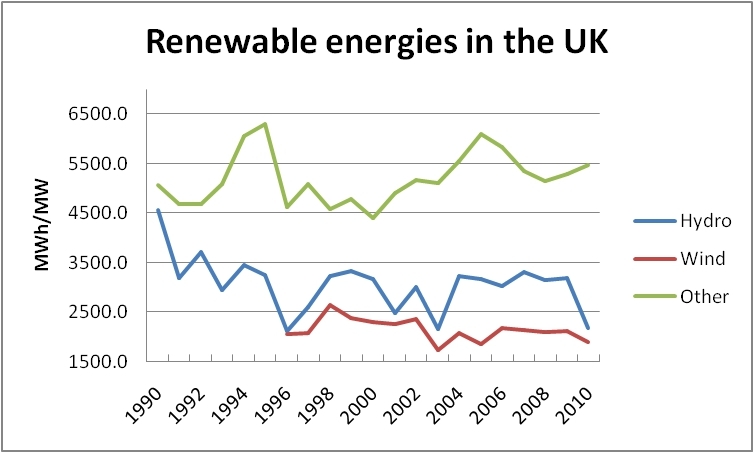 However, the picture on renewables is still not complete. One additional source to be taken into account is electricity generation from biomass which has strongly increased over the past two decades. Its output in 2009 was 25.5 TWh and, applying our model of expected growth rates, we would expect production figures to arrive at about 88 TWh in 2022. In this case, our scenario is more optimistic than the one from BEE which expects 54 TWh coming from biomass burning in 2020. Summing up, here are two different scenarios for the contribution of renewables to Germany´s energy mix in 2022 (the forecast by BEE refers to 2020). All figures are given in TWh. Given these independent model calculations it appears likely that Germany may reach its ambitious goal of phasing out all nuclear power plants by 2022. 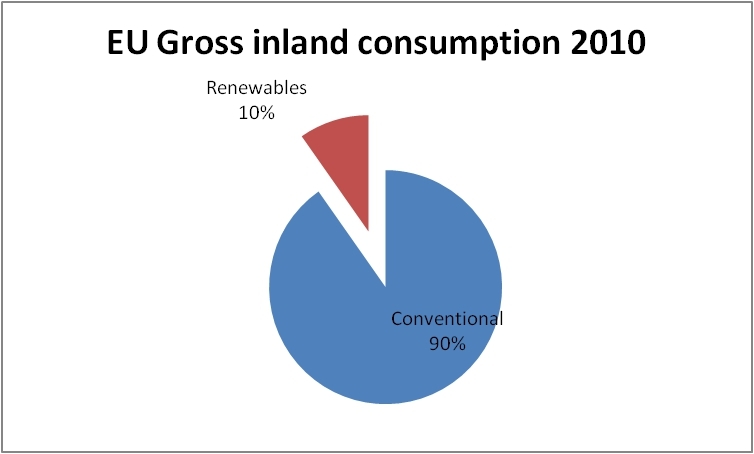 Our considerations refer only to technical feasibility and projected growth rates which make it plausible that the entire output from nuclear may be compensated by renewables only. However, decomissioning existing capacities and simultaneously building up new production facilities comes at a price for the consumer. So far nuclear electricity has been considerably cheaper than electricity from renewables. On the other hand, given their huge potential and their fast pace of growth, renewables might become economically comptetitive in the not too distant future. We will look into that matter in more detail in one of our subsequent articles.